The Church will be open for viewing of the installation, which will sit side by side with a second installation entitled ‘There, But Not There’ featuring the cut-out silhouettes representing some of those who did not return from the war. More than 4000 poppies have poured in to the church since plans for a special art installation were launched in June when the congregation (with the support of local craft retailers Sew Yarn Crafty) were challenged to produce knitted or crocheted poppies for a special remembrance art installation. 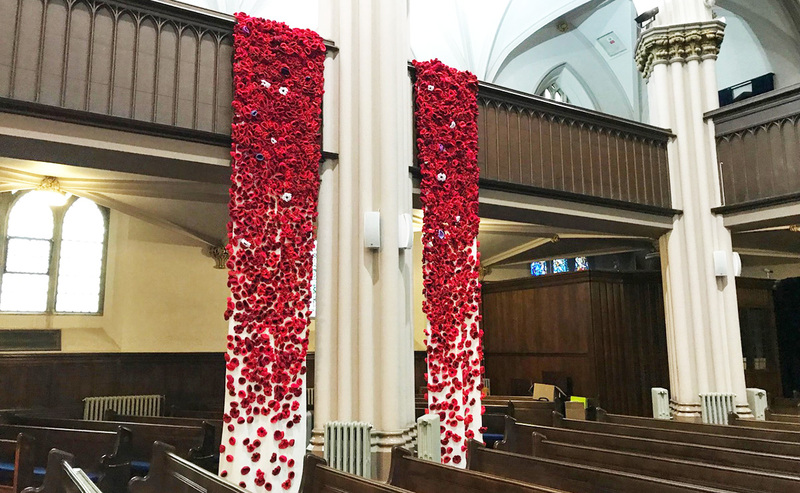 Poppies have been sent from across the world for the community art installation, which will feature four banners of the handcrafted poppies draped from the balcony of the historic church. The installation will be the centrepiece of a week-long commemoration at the church, entitled ‘A Centenary of Remembering’. Abbey minister, Rev MaryAnn Rennie, said: “The response to our original appeal has been amazing. Poppies have come from Inverness-shire and Canada as well as from the local community. I would want to thank the owner and staff of Sew Yarn Crafty for all their support, but also the significant number of people who have crafted a real labour of love. “My hope is that there will be those who would wish to come and have a moment of remembrance surrounded by the thoughts of others woven into the installation that has been pinned together from these poppies. The silhouettes are part of a nationwide project supported by the Armed Forces Covenant Fund. The project has expanded as interest in the commemoration of the centenary has increased, according to MaryAnn. 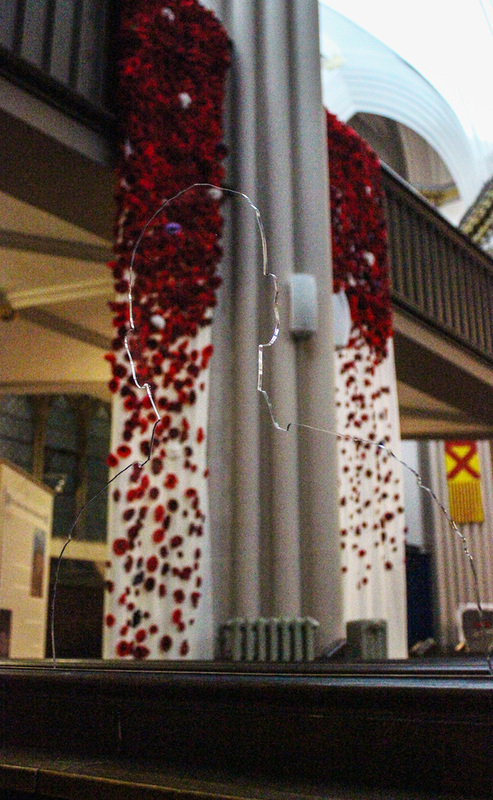 The Church will be open for viewing of the installation, which will sit side by side with a second installation entitled ‘There, But Not There’ featuring the cut-out silhouettes representing some of those who did not return from the war. The silhouettes are part of a nationwide project supported by the Armed Forces Covenant Fund. “The congregation is keen to play their part in a community commemoration to mark the end of the First World War, but I would also encourage anyone who would like a quiet moment of remembrance and reflection to visit the Abbey Church during this historic anniversary,” said the minister. The Church will be open to the public on Monday 5 November and Saturday 10 November from 10am-12 noon; on Tuesday 6 November and Thursday 8 November from 12pm-2pm and on Wednesday 7 November and Monday 12 November from 2pm-4pm. 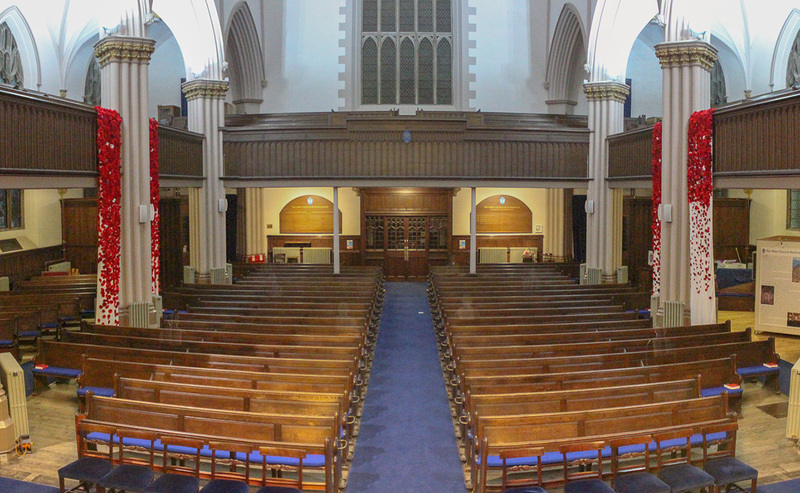 The church will also host special services on Remembrance Day at 9.30am and 11.30pm and a festival of remembrance on 17 November at 7pm featuring the Black Watch ACF, Bristo Community Concert Band and 25th Stirling (Dunblane) Boys’ Brigade.